Carry a little bit of the coast of Maine wherever you go! 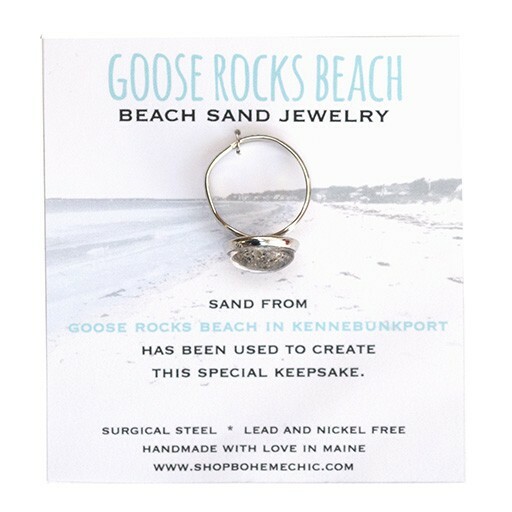 Using sand collected from Goose Rocks Beach in Kennebunkport, this ring makes a very special keepsake. Handmade in Maine by BohemeChic. Lead and nickel free surgical steel. Adjustable sizing. Charm measures .5 inches.